To mark Dickens’ bicentenary, in January we took the Penny Readings to London. 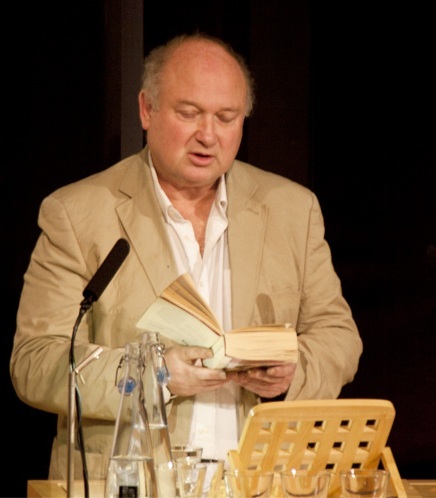 AS Byatt, Arthur Smith, Lucinda Dickens Hawsley, Louis de Bernieres and many other readers and performers took to the stage at the British Library to mark the occasion (you listen to an Australian radio feature about it here). And of course we were back in Liverpool in December with the Penny and Ha’penny Readings packing out St. George’s Hall once again. As part of Guernsey’s Literature Festival we took our Ha’penny Readings on tour around the island with a packed schedule full of fun, entertainment and lots of stories and poems. Stories Before Bedtime: a series of late night read aloud events at the Criterion Theatre, Piccadilly, with readers Niamh Cusack and Tom Hiddleston in February, Miranda Richardson, Sonya Cassidy and Mathew Horne in June, and Brian Blessed, Stephen Fry and Eddie Izzard in August. Our annual conference, ‘Reading to Live Well’, was held in May at the British Library in London. Speakers included Dr Iona Heath, President of the Royal College of General Practioners, writers Lemn Sissaya and Erwin James, and Professor Jonathan Rose from Drew University. ‘Looking Backwards, Moving Forward’, a showcase event at the University of Stirling in July, presented the qualitative findings of a pilot Get Into Reading project in Scotland alongside the University of Liverpool’s CRILS evaluation report, ‘A Literature Based Intervention for Older People Living with Dementia’ (download the report here). September was a time of great celebration for us – the tenth birthday of Get Into Reading – and we put on a special birthday bash in Wirral (where is all began) for 300 people, with group members joining us from all over the country. In October Danny Boyle and Frank Cottrell Boyce, part of the creative team behind the Olympic Opening Ceremony, discussed the literary influences on ‘the greatest show on earth’ to students at Hope University as part of our Hope Readers project. Reading in Secure Environments (RISE), funded by Arts Council England, launched in October to bring high-quality, challenging contemporary writers to readers in secure criminal justice and mental health care settings in partnership with literature festivals around the UK. So far Jackie Kay, Joe Dunthorne, Inua Ellams and Michael Stewart have taken part. You can read more on the RISE blog. We also delivered dozens of workshops, presentations and key note talks at national and international conferences and literature festivals including: LSE Literary Festival; Personality Disorder Conference, Northern Ireland; Book and Publishing Studies conference Antwerp; Festival of the World Summit, London’s Southbank Centre; Prisoner Action Net Conference; and TEDx Observer. This blog now gets over 16,000 visits a month, our Twitter followers are well over 4000 and we’ve got an ever growing number of Facebook friends. Are you one of them? Our family reading project at Egremont Primary School, Wirral appeared on ITV Granada Reports at (watch here), the Guardian Book Blog published ‘The Reader Organisation: a mutual improvement society for modern times’ and the Huffington Post UK, featured a piece on our work, ‘How One Charity Is Tackling Complex Mental Health Problems Using The Simple Power Of Reading’. Jane Davis was named as one of 50 New Radicals in Britain by NESTA and The Observer in February, and in November, was shortlisted for one of Liverpool’s Leaders Awards. 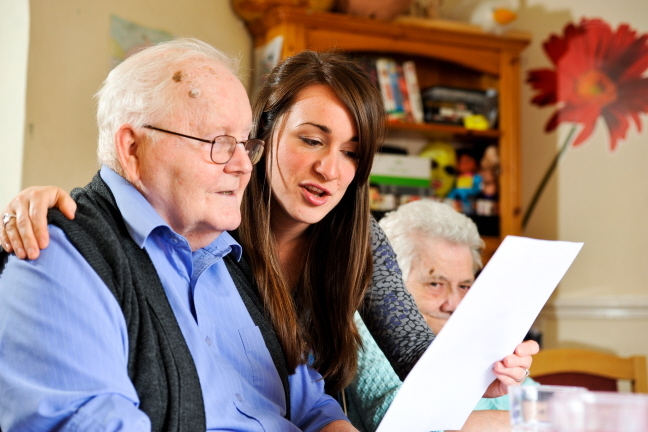 Our Get Into Reading Pilot Project for Older People with Dementia and Carers in Scotland won the EDGE 2012 Award for Social Innovation in community engagement. The Unforgotten Coat, written for The Reader Organisation’s ‘Our Read’ 2011 by Frank Cottrell Boyce, won the Guardian Children’s Fiction Prize 2012. Our Big Lottery funded Merseyside Reader Volunteer Scheme was ‘Highly Commended’ in the ‘Encouraging Health and Wellbeing’ category at the North West We Can Empowerment Awards in December. We’ve run 27 Read to Lead training courses up and down the country this year, in a variety of locations, including Dartington Hall (Devon) and Kensington Palace, and for Libraries Northern Ireland, South West Yorkshire Partnership Foundation Trust, Hereford Primary Care Trust, South East Wales Libraries, and Gwynedd County Council – in Welsh! We’ve also delivered lots of masterclasses as CPD for our trained practioners, A Little, Aloud workshops and a learning exchange visit to our sister project in Denmark, Laeseforeningen. 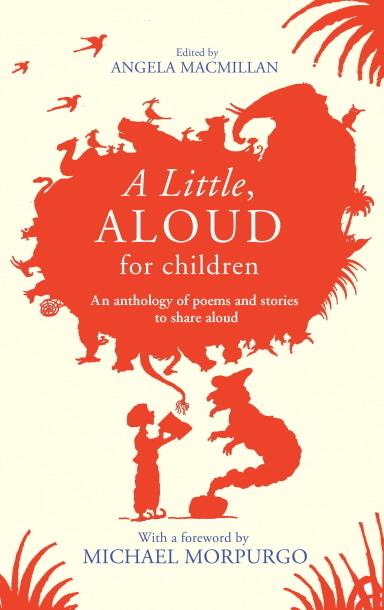 Our second read aloud anthology, A Little, Aloud for Children (David Fickling) was published in June and was summer chosen as a Book of The Year by the Financial Times. Four fabulous issues of The Reader magazine have been published this year, including interviews with Jeanette Winterson and David Morrissey, an extract from Tim Parks’ latest novel, Brian Patten and Bernard O’Donoghue as Poets on their Work, and new fiction from David Constantine and John Kinsella. 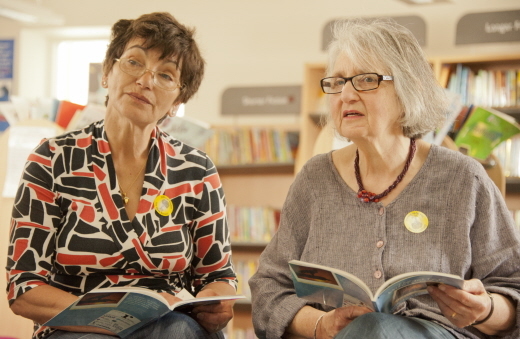 Our new Get Into Reading commissions this year have included: West London Mental Health Trust, 5 Boroughs Partnership Trust, North West Strategic Health Authority, Maudsley Charity, Greater Manchester Probation Trust, HMP Wormwood Scrubs, Personality Disorder – PIPES and North East Prison Project, Devon Libraries, Big Lottery Wales, HMP Reading (AB Charitable Foundation), Southwark Innovation Fund, and Alzheimer’s Society. If you still want more, you can read our 2011/12 Annual Report here. A huge thank you to everyone who has helped to make it all happen – and roll on 2013! Happy Christmas and all the very best for the New Year.